Very basic for your project. 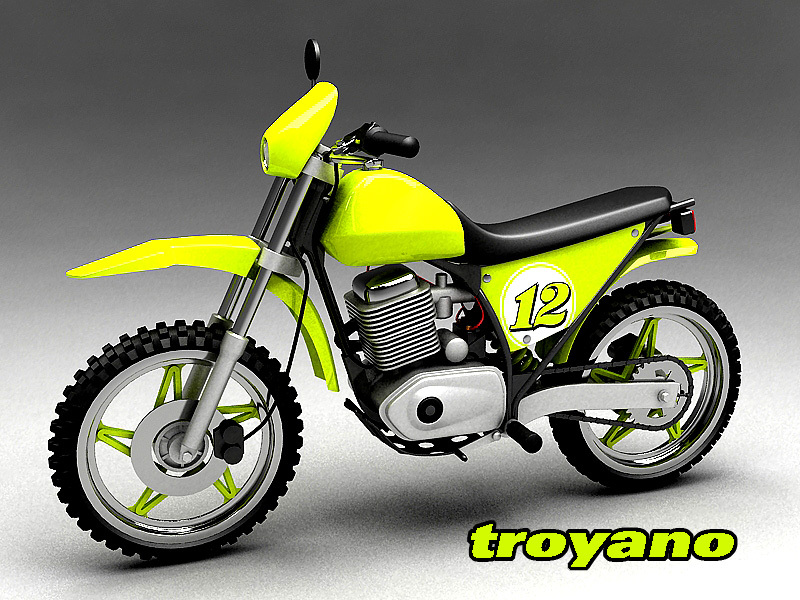 Various types of off-road motorcycles, also known as dirt bikes, specially designed for off-road events. There are a variety of bikes in this category, often termed Dual-Sport or Dual-Purpose. Dual-Sports are always a compromise between light-weight dirt performance and comfortable street abilities. They look similar in many ways to dirt or MX motorcycles but are built for use on streets and highways in addition to off-road. Life is simpler if you only want to ride on streets or off-road, but if you want the best of both, a capable dual-sport can do the trick. An awesome off-road bike that's perfect for discovering the fun and freedom of riding. Adventure Motorcycles made to do just that are so big and heavy, riding them off the road becomes its own. Totally utilitarian, these bikes outfitted with their all terrain motorcycle tires can deliver you just about anywhere you want to go on or off road. 3ds adult adventure travel biker desert dual sport escape exploration getting away from it all journey loaded motorcycle mountain range nature off road on the go outdoors road trip route touring motorcycle tourism transport travel destination united states of america .